Being a mom is a real blessing and probably the best thing in the world. But however rewarding, it can sometimes be quite challenging too, like during those periods of your life when most of your time is spent with baby talk, pee and poop concerns or even little cave man negotiations. Add this to a new country and you probably find yourself going crazy from time to time. How would you describe one of your usual days? Feel free to sit down and take your time to find out how you see yourself these days. Do you see yourself in one of the above answers? If so, you need to know that you are not alone. There are dozens of other expats who feel the same here in Luxembourg. So, what should you do? Simple, just meet them, it is so easy! This is an English-speaking meetup group and it works as a social community for parents and their children. Everyone is welcome to join the community and suggest family friendly activities, from picnics and coffee mornings to swimming with the babies and playground meetings. It is actually a very pleasant environment to meet other mums and dads who live in Luxembourg, along with their children. The British Ladies Club offers several activities for English-speaking women, regardless of nationality, living in and around Luxembourg. They range from bridge to tennis and include kid-friendly activities, where parents and children can have fun together. These activities are also perfect to meet other mums and share experiences in a new country while the children play together. The American Women’s Club of Luxembourg (AWCL) is a social group for the English-speaking community and it helps its members to settle in in their new country. Besides a lot of different activities, AWCL has a Moms & Tots group where parents and children can socialize and play together. And don’t forget the countless playground benches – informal meeting place as good as any while the offspring connect in the sandbox. Do you have other suggestions for young parents in Luxembourg? If so, share your suggestion by posting a comment below. « Spray it your way! I ran across your blog while looking for other expats. I am an American living in the Middle East. 12 years ago my husband, daughter and I lived an hour from Luxembourg and I absolutely loved Luxembourg. I wish there were opportunities for my husbands career in Luxembourg, but unfortunately the Middle East is our silver lining right now. 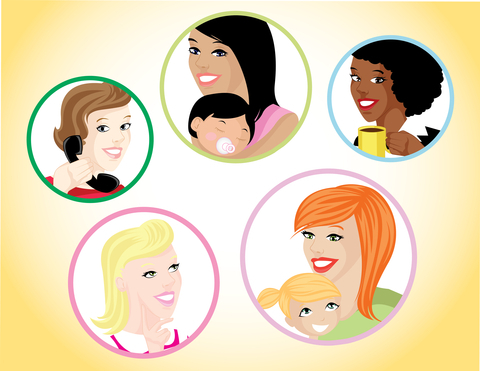 Enjoy your time there Expats, it looks like you have a great organized group for your support which is so important for an expat woman and mother.